The Liverpool Empire Theatre is one of the city’s major entertainment venues. It offers a packed programme of all types of performances, including musicals, comedy shows, concerts, operas, and pantomime. With more than 2,300 seats it is the biggest two-tier theatre in the United Kingdom. Since opening in 1925 it has hosted some of the most famous names in show business. Acts appearing here have included Frank Sinatra, Bing Crosby, Julie Andrews, and The Beatles. The theatre is situated on Lime Street in Liverpool city centre (postcode L1 1JE), opposite St George’s Hall and the Walker Art Gallery. Liverpool Lime Street train station is right next to the theatre. 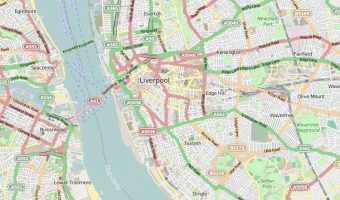 Liverpool Central is also nearby. Places to park within easy walking distance include the car park at the St Johns Shopping Centre and the NCP Liverpool Moorfields multi-storey. The theatre is owned and managed by the Ambassador Theatre Group. Their other venues in North West England are the Southport Theatre and Convention Centre, Opera House Manchester, and Palace Theatre Manchester. A selection of upcoming shows and events at Liverpool Empire Theatre are listed below. Tickets can be purchased here. 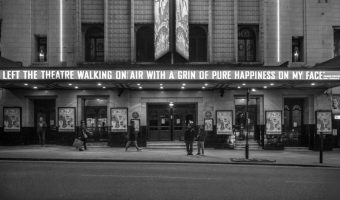 More events may be listed on the official Liverpool Empire Theatre website (see the information section at the end of this page). O2 Academy Liverpool (0.1 miles) - Live music venue in Liverpool city centre. Odeon Liverpool ONE (0.5 miles) - 18-screen cinema at Liverpool ONE. Liverpool ONE (0.6 miles) - Shopping and leisure development in Liverpool city centre. Liverpool Lime Street (0.1 miles) - Train station in Liverpool city centre. Liverpool Central (0.3 miles) - Merseyrail station on both the Northern Line and Wirral Line. Moorfields Train Station (0.4 miles) - Underground station in Liverpool city centre. Map showing location of Liverpool Empire Theatre. 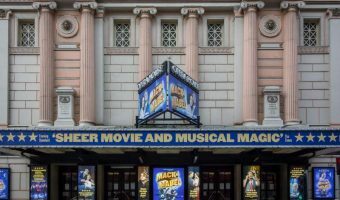 Theatre in Manchester hosting West End shows and musicals.